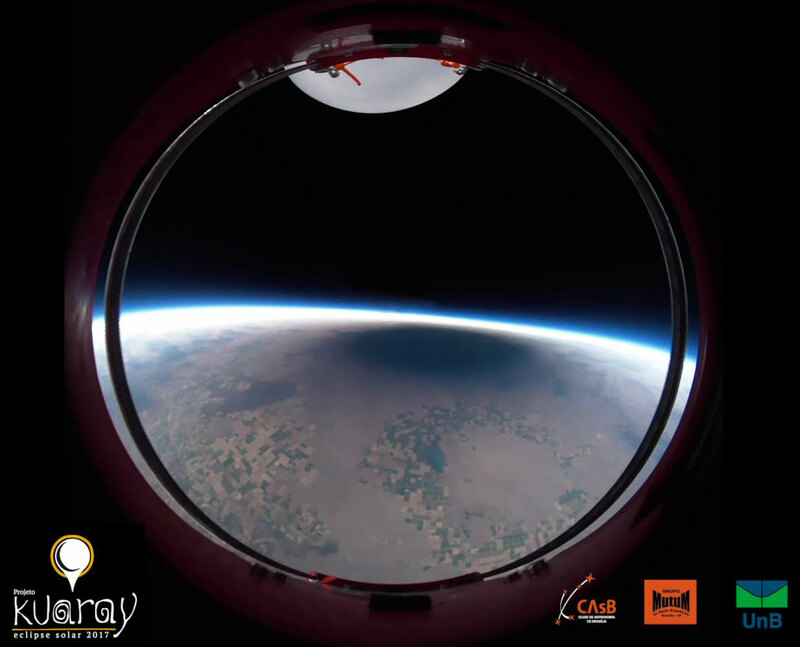 Image Credit: Kuaray Project, NASA Eclipse Ballooning Project, Brasilia Astronomy Club, Montana State U. Explanation: Where were you during the Great American Eclipse of 2017? A year ago last week, over 100 million of people in North America went outside to see a partial eclipse of the Sun, while over ten million drove across part of the USA to see the Sun completely disappear behind the Moon -- a total solar eclipse. An estimated 88 percent of American adults saw the eclipse either personally or electronically. One of the better photographed events in human history, images from the eclipse included some unusual vistas, such as from balloons floating in the Earth's stratosphere. About fifty such robotic balloons were launched as part of NASA's Eclipse Ballooning project. Featured is a frame taken from a 360-degree panoramic video captured by one such balloon set aloft in Idaho by students from Brazil in conjunction with NASA and Montana State University. Pictured, the dark shadow of the Moon was seen crossing the Earth below. Although the total eclipse lasted less than three minutes, many who saw it may remember it for a lifetime. Many North Americans will get a another chance to experience a total solar eclipse in 2024.